The icons are completely free for personal and commercial use and they’re being released exclusively to all our RSS subscribers. XMail Server Lite works on both Linux and Windows, and the web modules run on both major web platforms: ASP.NET and PHP. No database required. The server is capable of managing SMTP/ESMTP & POP3 protocols with web-based administration panel. It supports unlimited domains/users including virtual domains & aliases. 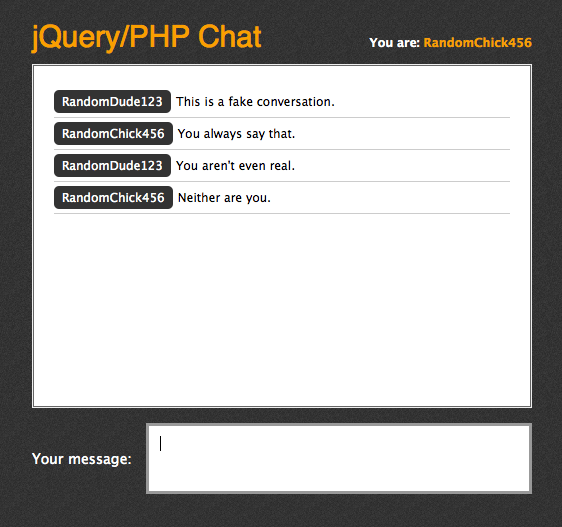 we are going to build a little chat program that is really easy to get up and running on any server running PHP. No database is required – as the chat will store itself in a simple text file.